February is American Heart Month. What better time to brush up on your cardiology? 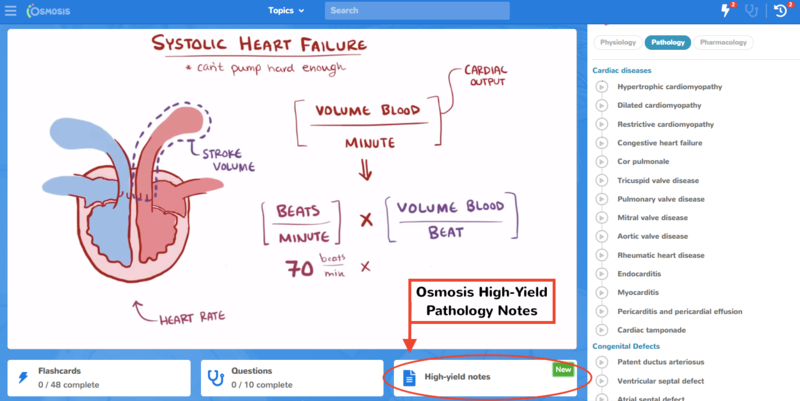 Osmosis has several resources available to help you master cardiology including a comprehensive physiology and pathology cardiology playlists, Osmosis Cardiovascular Pathology ebook, and our NEW Osmosis High-Yield Pathology Notes. 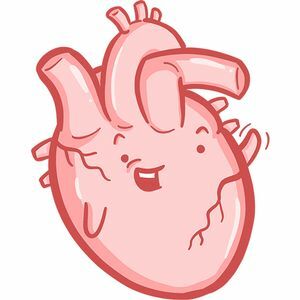 Retain more of what you’re learning, gain a deeper understanding of key concepts, and feel more prepared for your courses and exams with our cardio content. Osmosis’s Cardiovascular Pathology ebook covers more than 40 conditions, from atrial fibrillation to Wolff–Parkinson–White syndrome. Offering concise descriptions, full-color images and tables, and extra-wide margins for note-taking, our NEW Osmosis High-Yield Pathology Notes is a great supplement for the USMLE®, COMLEX-USA®, NCLEX®, and PANCE®. Each condition, like the sample Acute Coronary Syndromes, is clearly separated into pathology, symptoms, diagnosis, and treatment sections, so you can quickly identify exactly what you need to remember.